To be truly competitive in today’s business world means to operate globally. Most universities understand that, so offering coursework with an international perspective should not be just an expected segment of a curriculum, but required. Look for such courses when you’re researching schools. What follows are the top online MBA (and some BA) programs with an International Business concentration. We believe that in years to come, more and more schools will offer such programs, for, as N.Y. Times columnist Thomas Friedman has said, “The world is flat.” And business is international. Below are 15 of the best completely online programs that offer concentrations in International business. [Note that almost all business programs are now hybrids, offering some online work along with in-class participation. We have restricted this list to online work programs only.] The ratings are an average of lists complied by Bloomberg Business, Forbes, and the Wall Street Journal. FIU’s MIB program provides insight into relevant social, political, legal, and macroeconomic conditions affecting international business, and gives students the ability to further develop communication skills in a multicultural environment. IWU offers an interesting array of courses geared to the International Business MBA student. Some of the classes offered are: History of International Trade, International Business, International Trade, and Import and Export. The MBA courses for those students wanting to concentrate on International Business include the following electives: Global Marketing and International Finance. These courses are supplemented by the more traditional classes, like Financial Institutions and Markets. The coursework here is very interesting. For instance, in one class, Advanced International Economics, students will study of international trade and finance issues; multinational enterprises, international investments, currency problems, and balance of payments issues. As a student you will also be asked to analyze the structure and scope of world trade and international financial markets in developed and developing countries. And that’s just one course. As the University describes it, their “aim is to develop future leaders with the skills to successfully navigate the demands of business within a global marketplace.” Areas of concentration online include management, human resources, small business/entrepreneurship, and international business. At the graduate level the school offers the Global Entrepreneurship track and the International Business track in the interdisciplinary MBA. FIT’s MBA International Business program emphasizes economic, social, cultural, legal and environmental influences on the formulation and execution of the business policy of firms engaged in multinational business. As a student, you’ll explore the functions, problems and decision-making processes of multinational business organizations. The basic philosophy of this program is this: International management professionals need to have a broad, thorough knowledge of international business practices, from marketing and advertising to cultural, economic and political environmental difference. Thus the coursework reflects those concentrations. The courses in International Business include: Managing in International Markets, Regional Business Environment Europe, International Financial Management, Global Supply Chain Management, and Virtual Team Skills for Project Management. WSU’s MBA program (concentration, International Business) is built on the premise that all business today is international. Innovation has brought distant communities closer than ever, requiring the successful modern business professional to have a global perspective. The Washington State University online MBA prepares students to develop and implement scalable business strategies that work locally, regionally, and globally. Pretty cool. Here is what is really cool about this program. UND’s MBA program’s International Business Concentration allows students to obtain internationally-focused coursework by studying abroad at the BI Norwegian Business School. The online master’s degree program concentrating on International Business at Marist falls under the Ethical Leadership program. Here’s the basic premise: The global economy has been shaken in the past decade by the outcomes of large organizations and local governments being led by unethical leaders. In order to provide an educated solution to this dilemma, Marist College has developed the Ethical Leadership concentration within the MBA degree program. The Master’s in Business Administration concentration addresses the critical leadership issues in modern business from a world-wide perspective. 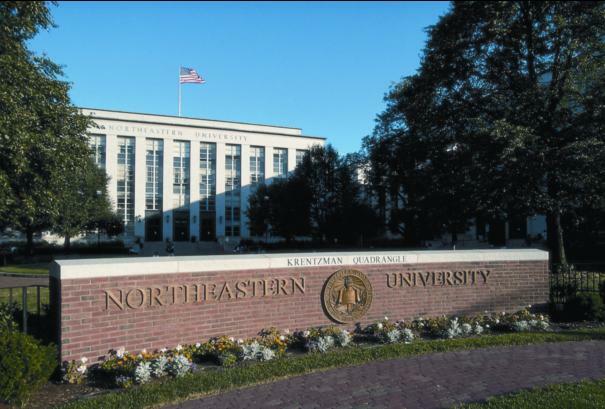 NU’s online MBA degree program emphasizes managerial skills, team building, ethics, and leadership. Case analysis and presentation skills are incorporated in the curriculum to prepare the graduate to make a difference in her or his chosen career. The online MBA is a cross-discipline degree that requires study in each of the Business areas, such as International Business. Degree offered: B.A. in Business with Concentration on Global Leadership. Students in this undergraduate program will take courses including Global Justice, Comparative Politics, Principles of International Business, and Global Marketing Management. Coursework will also explore international leadership and management. Some of the courses offered are: International Marketing, Introduction to International Accounting and Finance, Managing the Global Enterprise, Global Supply Chain, and Becoming a Global Leader.